Hey! DCR! Leave Those Trees Alone! Hey! DCR! Leave Those Trees Alone! Home » Articles » Hey! DCR! Leave Those Trees Alone! Bog on Farley Road in Wendell State Forest. Still has some ice on Thursday, April 4, 2019. Scene off Dirth Road in Wendell State Forest on Thursday, April 4, 2019. Access point to Wendell State Forest on Laurel Drive near Wickett Pond Road. Photographed on Thursday, April 4, 2019. 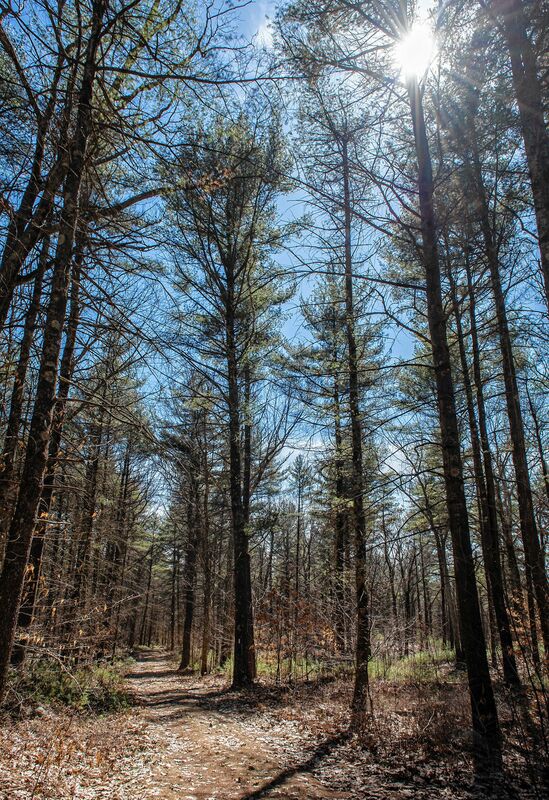 The Wendell State Forest hosts about five miles of the Metacomet-Monadnock. Photographed off Montague Road on Thursday, April 4, 2019. Scene off Farley Road in Wendell State Forest on Thursday, April 4, 2019. Tree marked with state forest boundary tag on Mountain Road in Wendell State Forest on Thursday, April 4, 2019. Hemingway Road in Wendell State Forest on Thursday, April 4, 2019. 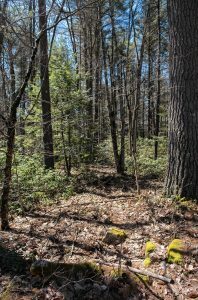 Scene off Montague Road in Wendell State Forest on Thursday, April 4, 2019. 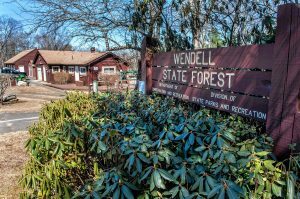 The Wendell State Forest park office and main entrance on Montague Road in Wendell on Thursday, April 4, 2019. 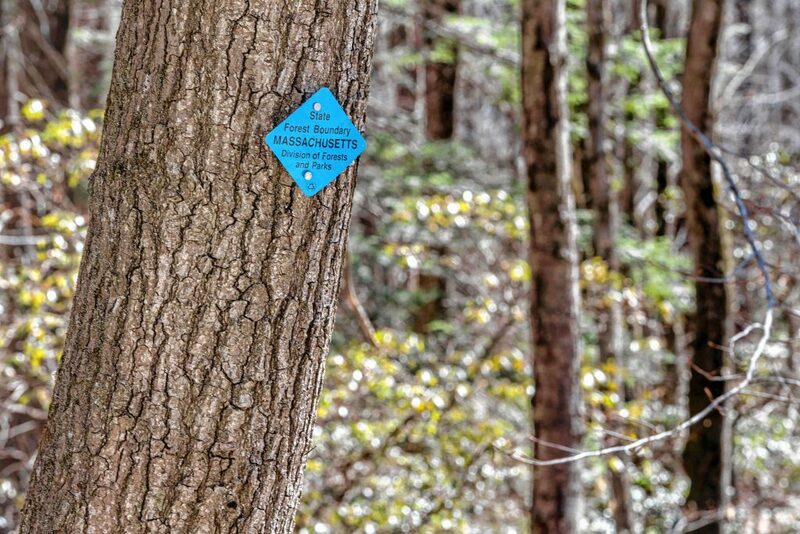 Tree marked with state forest boundary tag on Wickett Pond Road in Wendell State Forest on Thursday, April 4, 2019. 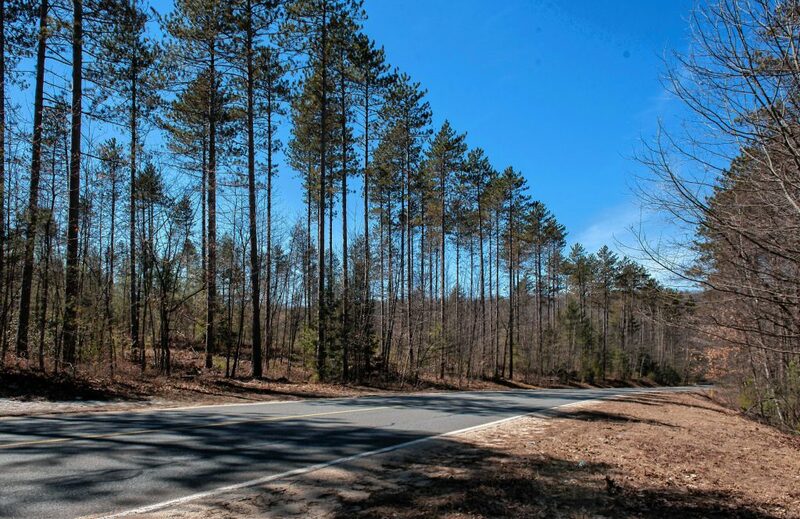 Scene in Wendell State Forest looking west along Montague Road on Thursday, April 4, 2019. Detail of growth on the forest floor in Wendell State Forest. Photographed near Montague Road on Thursday, April 4, 2019. 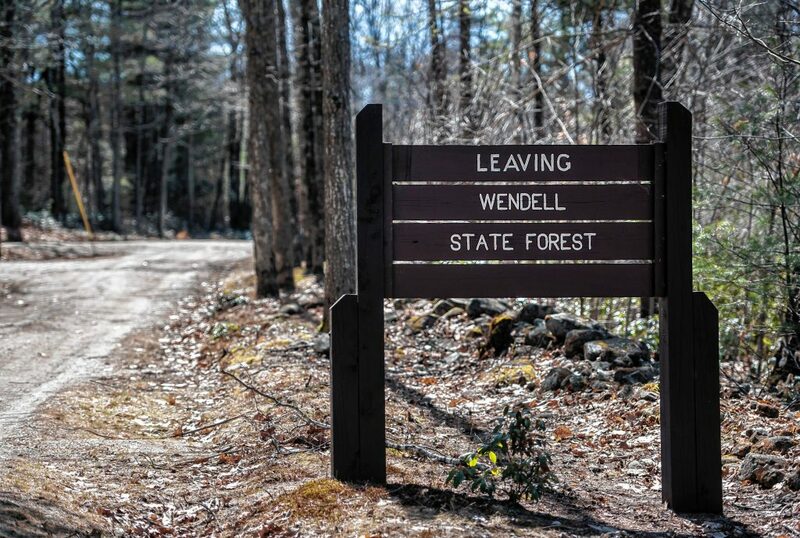 The road into Wendell State Forest was frozen solid with six-inch ruts formed the week before by vehicles navigating what must have been a muddy slog caused by yet another change in the weather. It’s said if you don’t like the weather in New England just wait a minute, something never more true than now as the Climate Crisis makes itself known to those who have been following the science. 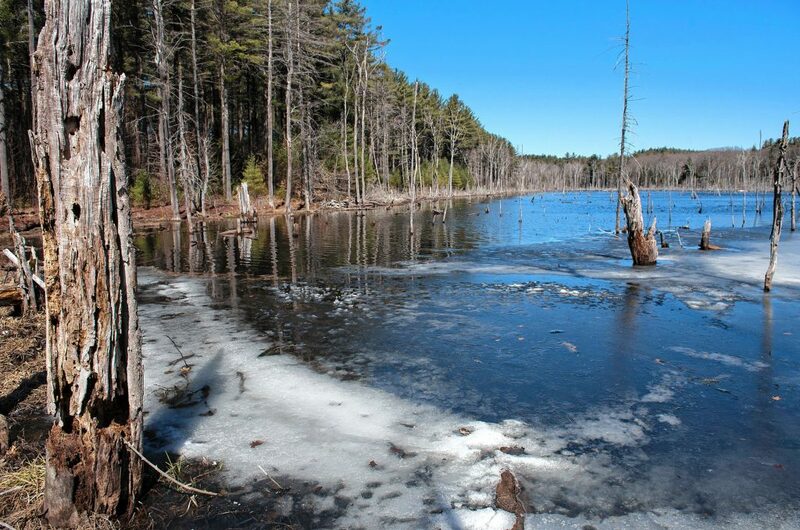 The frozen surface would be ideal for loggers to enter the forest and begin their work of taking down 100-year-old red oak trees in an 80-acre stand that has weathered many such shifts in temperature over so many decades. That said, another swing in the weather could just as easily mire the loggers’ machinery beyond hope and damage the woodland ecology in the offing. I was traveling that frozen road along with a dozen or so other forest activists from the Wendell State Forest Alliance on a tour of what may be another chapter in the struggle to save our forests from needless destruction in a time when we need intact woods more than ever. In the 18th and 19th centuries most this area was cleared for grazing, mining or subsistence farming. 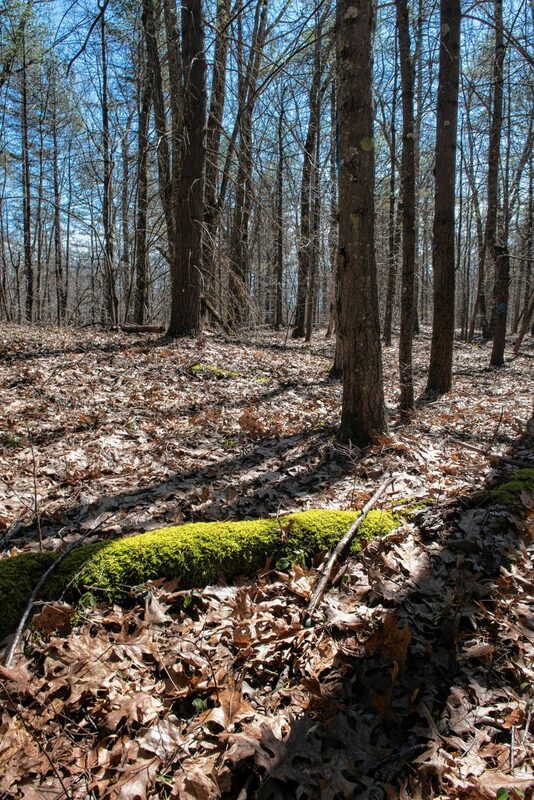 Many forests in the Valley and elsewhere in the Commonwealth are just now recovering from decades of clear cutting and thoughtless logging; only now as we walk through these reestablishing forests experiencing the returning life can we begin to sense their former wonder. As the forest ages the wildlife returns as well: moose, bears, and any number of indigenous critters are coming back to live around us in these woods. They need to be left in peace just as we do. 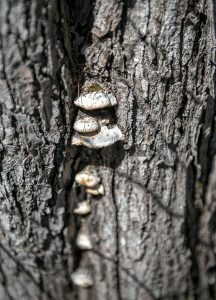 The latest climate science informs us that trees, especially older trees like the ones in the Brook Road stand in Wendell State Forest, are doing the critical work of capturing a significant portion of CO2 emissions in the atmosphere, emissions that are creating havoc in the weather we depend upon to help us and future generations survive. Climate chaos is a real thing, a thing that destroys crops, increases the velocity of storms and wildfires, brings more flooding to our shores and inland waterways, radically changes biodiversity and disrupts the services we need to carry on with our lives. Why would anyone want to make it all worse? That question may be asked by more than a few people in an era when the worst aspects of humanity are often celebrated and the highest offices in the land have become lairs for some of the lowest specimens of the human species. The stated mission of the Massachusetts Department of Conservation and Recreation (DCR) is “to protect, promote, and enhance our common wealth of natural, cultural, and recreational resources for the well-being of all.” They are failing in that mission of protecting our natural “resources.” Setting aside the concept of life forms other than our own being a resource at our disposal, DCR is actively selling off some of the best defense we have against climate chaos for private profit. Nearly everyday on I-91 you can see truckloads of old trees taken out of the Commonwealth heading north to Canadian sawmills. 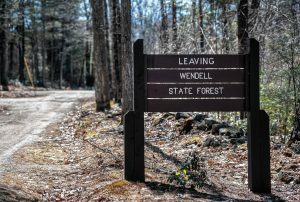 Yet, according to a statement DCR Commissioner Leo Roy made at a Wendell Selectboard meeting in recent months, the Wendell logging project is actually beneficial to the long term health of the forest and ultimately will lead to more carbon sequestration as trees are constantly reaching their peak sequestering age through forest management. Such a statement flies in the face of well-established climate science that tells us undisturbed forests capture more CO2 than logged ones. According to renowned climate scientist, Dr. William Moomaw, and Dogwood Alliance’s Executive Director, Danna Smith, “If we halted deforestation, protected existing forests, and expanded and restored degraded forests, we could reduce annual emissions by 75 percent in the next half a century. If fossil fuels were rapidly phased out during this same time period, we could reduce the amount of carbon in the atmosphere, meet the goals of the Paris Agreement and avoid catastrophic climate change.” That is, provided we have half a century in which to operate. Apparently Commissioner Roy believes we have that much time and more. We guess he missed The United Nations Intergovernmental Panel on Climate Change (IPCC) conclusion stressing that we are running out of time, with only about 10 years to get a handle on greenhouse gas emissions if we’re going to stay within the critical 1.5 degrees Celsius of warming. Beyond that, positive feedback loops kick-in resulting in higher temperatures which then accelerates the release of new sources of greenhouse gases, creating a reinforcing cycle. If we continue to destroy the Earth’s ability to absorb carbon or reflect heat, we will find much of life on planet Earth a living hell. These threats are never far from my mind, whether walking alone or with others in Wendell State Forest or in some other woods, or even if in my own yard watching the trees sway in the wind, filling the air with their whispering. 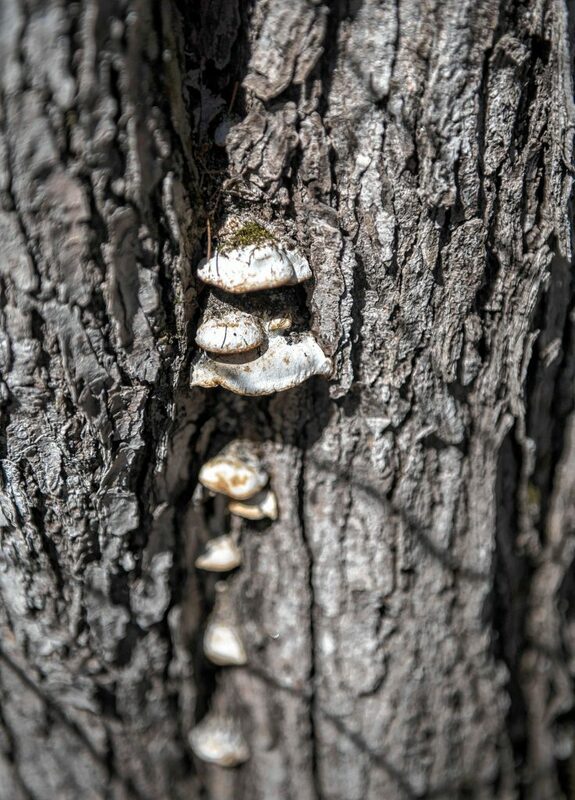 Even as a child I approached trees as the living beings they are, and as a young man having to cut them for firewood was always an apologetic conflicted act. Now, as an older man in this age of climate chaos I find the trees are far better friends than I ever imagined: they are helping us survive an unparalleled crisis. 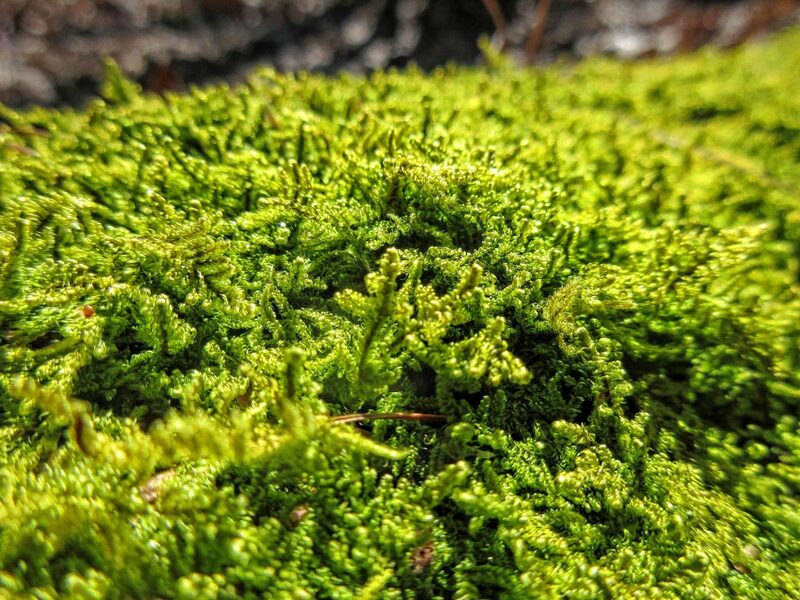 Those of us in the Wendell State Forest Alliance also know these facts well, but more importantly we know the potential impact on our children and grandchildren, on all life forms going forward into an uncertain future. This is why we meet weekly, why we train in non-violent direct action, why we support forest protection legislation on Beacon Hill, attend public hearings to voice their concerns and seek legal challenges against DCR’s backward approach to managing our public forests. 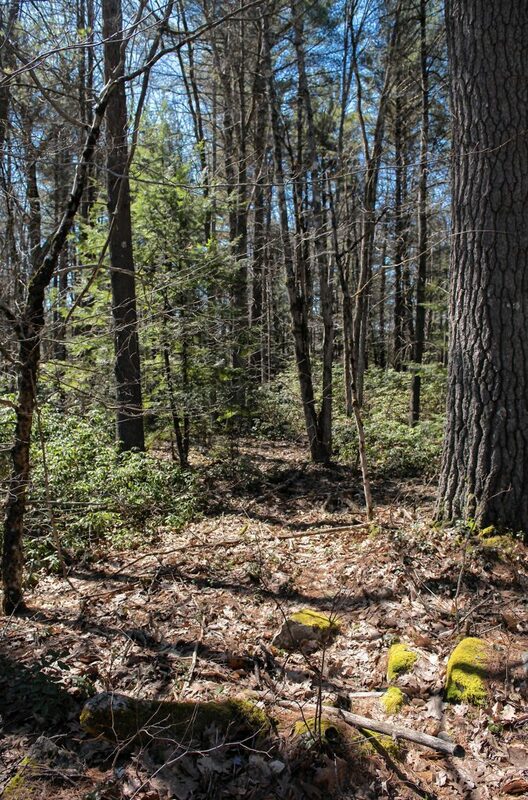 It’s said by some in Wendell that DCR is a bad neighbor, not caring for the woods and future generations. If bad neighbors won’t change their ways good neighbors must seek redress where they can find it. If all legal and administrative challenges fail, if all pleas for science-based management of public lands are ignored or met with obfuscation, then forest protectors are left with the tools of non-violent direct action. The Wendell Alliance’s code of conduct and mission statement make it clear we “support a diversity of non-violent direct action, including, but not limited to, civil disobedience.” It’s an historic approach to confronting unaccountable power. Sometimes it works, sometimes not. Perhaps you’ve been hearing a lot lately about a Green New Deal. Through the work of forest protectors like those in the Wendell Alliance, and some scientists, we were able to get forest preservation and protection into the Deal, as well as opposition to dirty wood biomass that is being promoted in Washington as “renewable energy.” Considering the timescale given us by the IPCC, forests being logged and disrupted today will never have the time to regain all the carbon lost to the atmosphere during destruction and production. This same lack of understanding is taking place on Beacon Hill, as well. Governor Baker and the Massachusetts Department of Energy Resources are actively promoting wood biomass as a “renewable,” seemingly oblivious to recent climate science and unwilling to engage in any real dialogue about policy change. Hopefully, the old adage “If the people lead the leaders will follow” proves true. A Business Insider poll found “86 percent of those polled said it was important that the federal government enact policies aimed at achieving net-zero greenhouse-gas emissions.” In spite of reactionary efforts to disparage it, the Green New Deal is becoming popular nationwide. 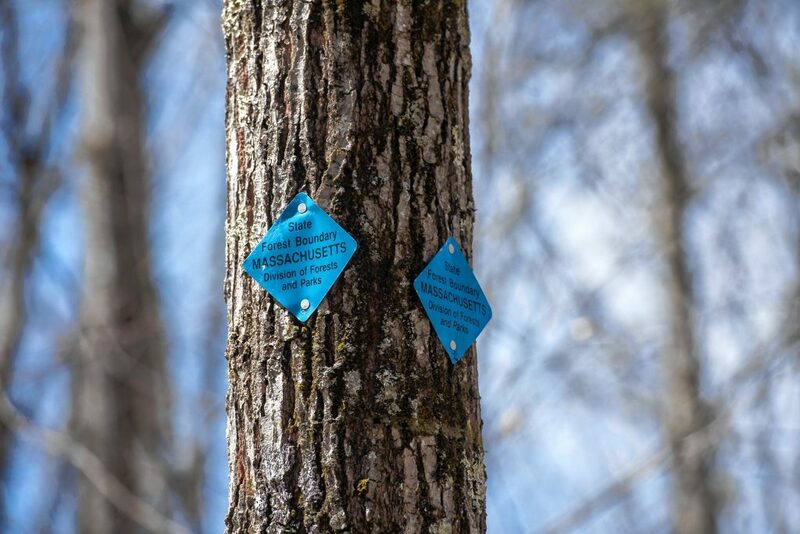 Massachusetts has been, in the past, a leader in environmental legislation, yet in terms of our forests there is a vast disconnect. Recently over 30 Massachusetts groups, including the Wendell State Forest Alliance and prominent scientists, sent a letter to Governor Baker protesting the Department of Energy Resources’ awards of nearly $3 million in taxpayer dollars for wood-chipping facilities in western Massachusetts. The letter called on the Administration to stop promoting dirty wood-burning as “clean” energy and to “increase natural carbon sinks, especially forests.” If we truly want to be an environmentally responsible state our dated concepts regarding our forests must be brought into the 21st century. The challenges we face as a people, as a state in the Union, are unprecedented today. We can no longer view the natural world as some sort of supermarket for us to shop to our heart’s content. We have pushed the envelope beyond the bounds of ecological sustainability. While the word “sustainability” has no real definition we should intuitively know we have to stay within the natural cycles of the planet. The days of mindless consumption must end. There is no more “away” to throw unwanted things toward. We must change our current path if the cycle of life is to continue as it has in the past. Modern science tells us this even if we chose not to listen. We can do everything possible at home or at work to be responsible citizens of our planet and yet that is not enough. 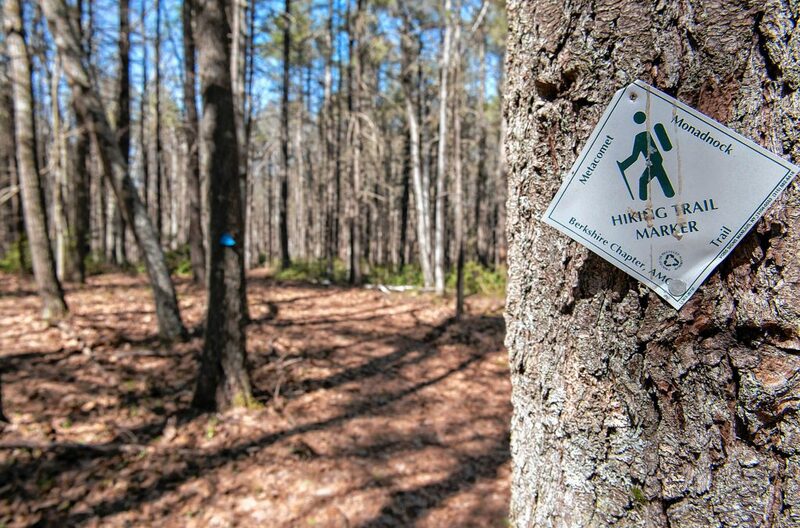 If the State or the Governor can’t change their policies to reflect climate reality, then their bad policies are going to meet with increasing resistance and opposition like that of The Wendell State Forest Alliance and others. Beyond our doors there are forces at work destroying what we need to survive, what our children and grandchildren need. Most of those forces are not necessarily evil, they are just operating with a dated program, they need to stop being defensive about old concepts they were taught long ago, they need to upgrade, be cooperative, adapt to 21st century or get out of the way. 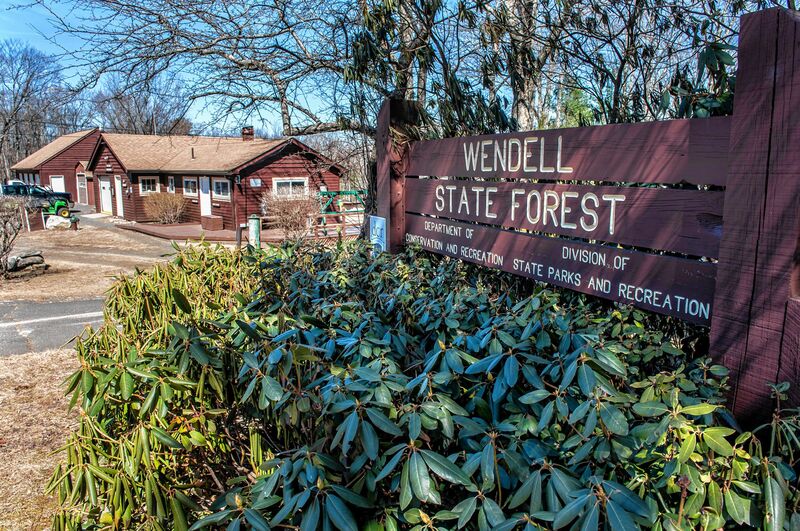 The Wendell State Forest Alliance can be contacted at savebrookrdforest@gmail.com.